I’d like to broach an awkward subject with you. Specifically, I’m going to present the case for direct real estate investment as an alternative to using something like an IRA or 401(k) account. By the way, before you get too angry about this or conclude I’ve totally lost my mind, next week, I’m going to present the case for IRAs and 401(k) tax-advantaged accounts—and share my final thoughts. To make this a manageable topic, I make a couple of assumptions. First, I assume for purposes of this discussion that over long periods of time, direct real estate investment performs more or less identically to indirect real estate investment in a real estate investment trust (REIT). I believe objective data suggests this is true—and this assumption lets us focus on some of the more interesting, tax-related features of these two tax-advantaged investment choices. At the risk of stating the obvious, let me point out that these two simplifying assumptions let us discuss whether tax laws favor direct real estate investment more than they favor things like IRAs and 401(k) accounts. And now let me make the case that direct real estate investment may be a better choice than investing in things like REITs through your IRA or 401(k). Because I think you have four or five really compelling reasons, in some cases, to emphasize direct real estate investment. Let me point out a big equalizer first. The big immediate benefit of something like an IRA or 401(k) contribution is that if you put (say) $10,000 into the account, you get a $10,000 tax deduction (assuming you follow the rules.) That $10,000 deduction often reduces the taxpayer’s taxes by $2,000 or $3,000 in the year of the contribution. Which is powerful. However, real estate investment often produces the same sort of deduction when you dig into the details. Suppose, for example, that you build a rental house on some land you already own. Assume the rental building costs you $275,000 which will mean you get to add a $10,000 depreciation deduction to your tax return. Further assume that you’ll perfectly cover the mortgage interest and operating expenses via rental income. Finally, assume that you’ll then also pay an additional $10,000 a year in principal. In this case, your savings (that $10,000 a year of mortgage principal payments) and your real estate tax deduction (basically the $10,000 of depreciation because the rent pays the other operating expenses) look very much like what you might do with an IRA or a 401(k). In other words, real estate can offer investors a way to save money using pre-tax dollars and to let that money grow. But you can in effect “save” pre-tax money. And let me make a couple of additional notes about this backdoor approach to pre-tax saving. First, with IRAs and 401(k)s, tax law limits you to relatively modest savings amounts. But with real estate the limits are either much higher—or they don’t exist at all. Most Americans, for example, can use the Active Real Estate Participant rules to annually save as much as $25,000 using the approach I describe here. Further, anyone that qualifies as a real estate professional, or anyone married to a real estate professional, is simply not limited in the depreciation deductions they can use to save “pre-tax” money. Someone could save $100,000 a year or a $1,000,000 a year. Note: A real estate professional is someone who spends more than 750 hours a year and more than half their time working as a real estate agent, real estate broker, real estate developer, or real estate property manager. Most people with significant real estate investments can qualify using the real estate property manager category if they don’t hold a regular full-time job. Another related point: While much depreciation from real estate investment is straight-line depreciation, investors may decide to break out a building into components and separately and more quickly depreciate some components. For example, while the standard residential building is depreciated on a straight-line basis over 27.5 years and the standard nonresidential building is depreciated on a straight-line basis over 39 years, some investors use a trick called cost segregation to depreciate big chunks of a building’s cost in the first years of ownership. This flexibility in timing depreciation deductions may allow investors to put big depreciation tax deductions on tax returns that also report big income amounts. With a bit of luck and some clever accounting, for example, a tax payer might be able to report a $100,000 income windfall on the same tax return as a $100,000 depreciation deduction, thereby sheltering all of the windfall income. That option isn’t available with tax-advantaged retirement accounts. A minor point but one that can add up over the years: If you have the right skills, you can with real estate bump up your investment balances by doing some of the work. For example, say you know your way around a Home Depot store and so can handle most repairs and maintenance yourself. If you do (for free, in a sense) a few thousand dollars of repairs or improvements a year and you do this over decades, you do end up jacking your investments’ values. Note that you do not have a way to do this with an IRA or 401(k) account. You can’t similarly inject a few thousand dollars of sweat equity into your IRA or 401(k) each year and thereby boost your savings. 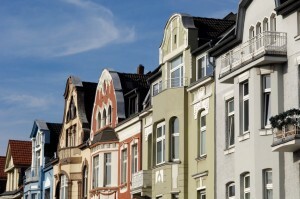 Another advantage of direct real estate investment? You will not with direct real estate investment be required to liquidate the investment and then pay taxes on the liquidation. In other words, if you have a $1,000,000 IRA account, tax laws will require you to draw down the account balance at a rate that means you recognize most or much of this balance as income over your retirement years. In comparison, if you have a $1,000,000 real estate investment (one that’ll be fully depreciated, probably, by the time you retire), you will earn rental income from the property and you will pay tax on the rental income… but you won’t be forced to sell the property and then recognize and pay taxes on the gain. But direct real estate investment offers an even better option. If you die with your $1,000,000 rental property (fully depreciated no doubt), your heirs get to reset (or step-up) the basis to the $1,000,000. The heirs can at this point sell the property for $1,000,000 and pay no tax. Or, they can hold the property but then depreciate it all over again, thereby sheltering either income or savings over thirty or forty years, which is a great deal. By the way, if you happen to live in a community property state, the basis for a rental property gets reset when either spouse dies. Which means that a married couple can fully depreciate the rental property… and then at the death of the first spouse use the “step-up in basis” rules to bump the basis which means the surviving spouse can fully depreciate the property a second time… and then at the death of the second spouse the heirs can use the “step-up in basis” rules to bump up the basis again and now the heirs can fully depreciate a third time. Hey, a stretch IRA? Sure, that’s okay. Pretty good, in fact. But it’s nothing like stitching together two or three step-ups in basis. Another direct real estate investment benefit to point out: With direct real estate investment, you’re going to have a tax schedule in your tax return (Schedule E) on which you can easily and cleanly deduct expenses related to your investments. And this is unique as compared to the IRA and 401(k) option. For example, if you buy a computer or pay for a tax accounting or travel to some conference in Arizona for your direct real estate investment, you may (should) be able to write that off as a deductible real estate investment expense. In comparison, if you buy a computer or pay for tax accounting or travel to some conference in Arizona for your indirect IRA or 401(k) investment, you probably will not be able to write off the expense as a deduction. Investment-related expenses (such as custodian fees and other investment adviser charges) are deductible only if you itemize, only to the extent your total itemized deductions exceed 2% of your adjusted gross income, and only if a high income or alternative minimum taxes haven’t erased them. Yuck. A final benefit to point out: With direct real estate investment, any “capital losses” or “investment losses” you realize on selling or disposing of your investment will be fully and immediately deductible. This means that direct real estate investment makes for much easier and more powerful tax loss harvesting. Real estate investment losses, therefore, work way better as tax deductions. And this can add up over time. 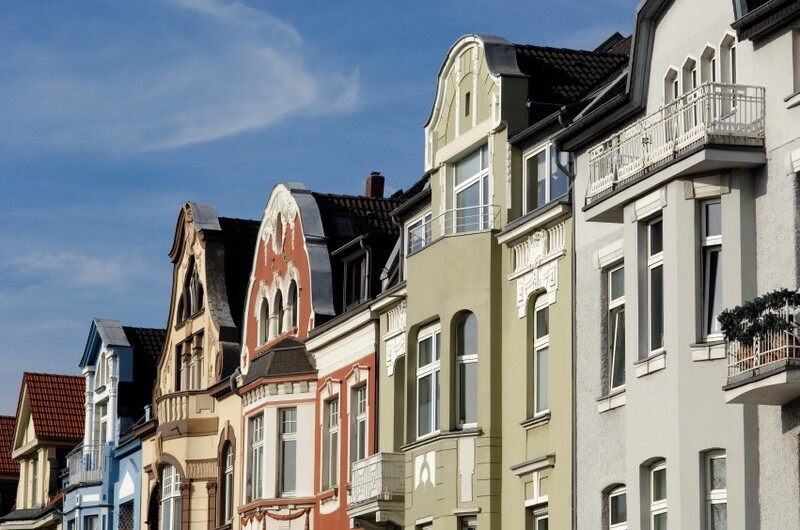 Summing up the situation, direct real estate investment offers some really compelling tax advantages as compared to traditional retirement savings approaches like Individual Retirement Accounts and 401(K) accounts. Who knows why most of us fail in this way, but as an accountant I’ll observe that sometimes people do a better job saving with direct real estate investment. Perhaps the success flows from the tangible nature of the real estate investment. Perhaps the success flows from the contractual commitment to repay the mortgage. In any event, some people just seem to have more success with direct real estate investment. And there you have it… my argument for considering direct real estate investment as an alternative to some of your IRA or 401(k) investing. Next week, I’ll discuss my argument for using IRAs and 401(k)s and share my thoughts on how you resolve the “direct real estate investment versus IRAs and 401(k)s” conundrum. Note: You can click here to read the next post about the “direct real estate investment versus IRAs and 401(k)s” conundrum. Are You an Active Real Estate Investor? You probably know this, but real estate tax laws provide investors with numerous tax savings opportunities. If you’re a real estate investor, for example, you probably have more opportunity than you even realize to create legitimate tax deductions that reduce your end-of-year tax bill. Furthermore, many real estate investors also have opportunities to enjoy true, tax-free income. 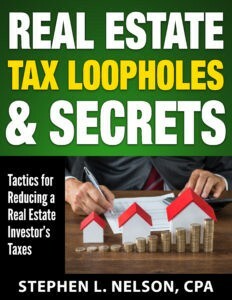 While you can try to get this information by “reading between the lines” of Internal Revenue Service documents or webpages or perhaps by carefully pouring over real estate investor forums, we’ve got a simpler, more direct method for obtaining reliable information about these nearly secret techniques: Our “Real Estate Tax Loopholes & Secrets” e-book.. Available for immediate download, this 50pp e-book explains how you can use tax law rules to your advantage. 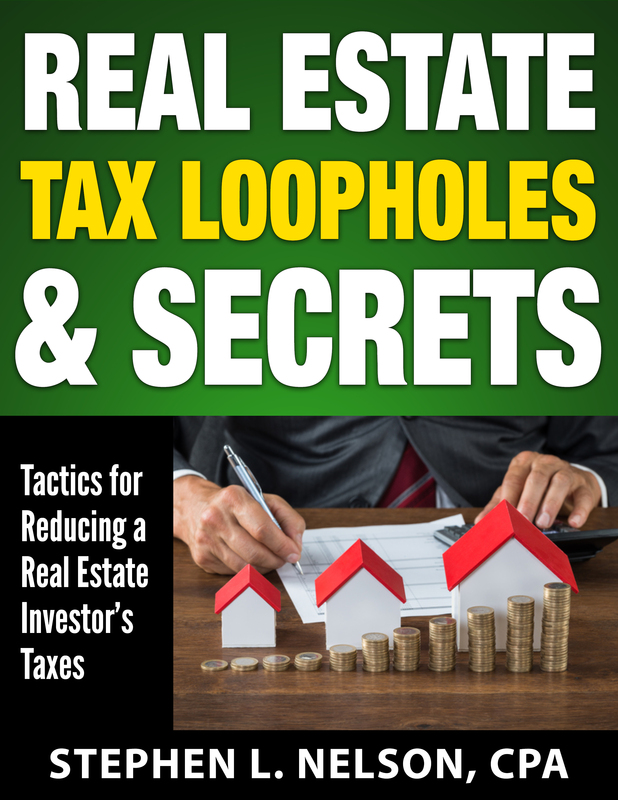 And for more detailed information about this e-book, including a table of contents, refer here: Real Estate Tax Loopholes & Secrets. Note: If you’re a client of our CPA firm, you don’t need to purchase this e-book. You are entitled to a complimentary copy. Just ask us.